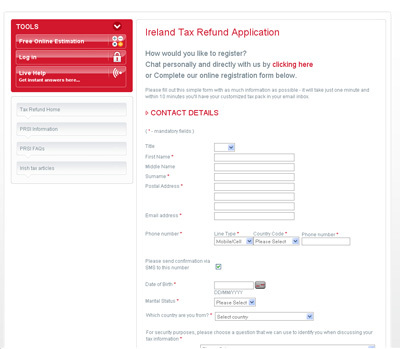 Taxation in Ireland : EirJobs.com : Claim your tax returns, apply for taxback etc. Trying to obtain a your taxback for your earnings from Ireland in 2018 or 2017 ? Take a look at each of the following taxation centers to do with those P45's and P60's, so you can claim your taxback back now! Remember to include as much information when you are applying for your tax returns, and make copies of the forms you fill out, before you submit them to the Revenue Commissioners who are based in Dublin, but also have offices in Cork, Galway and Limerick. 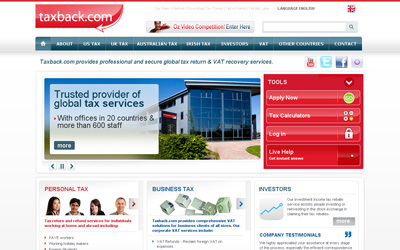 You can apply for your taxback online via our partner TaxBack.com. Their service staff will help you fill out the forms and claim your the tax that you are owed, all in a manner that is really friendly and helpful. First start off with selecting your nationality, and then the country you want to apply for taxback. You can claim a tax return if you worked in the United States between 2015 - 2019. Then you will be required to fill out some basic details and they will apply on your behalf. Apply for your tax return NOW ! As posted here, you can e-mail your local PAYE/tax office and ask them to check your taxes back as far as 2002 (P21 balancing statement) then they will send you out a balancing statement and if they owe you money a check will come before the statement. Use this link to find the e-mail address of your loacal tax office, scroll to the bottom of the page where it says "Open Contact Locator and just type in your pps number.